Modern Genetic Analysis, Second Edition, the second introductory genetics textbook W.H. 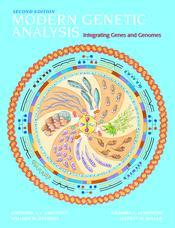 Freeman has published by the Griffiths author team, implements an innovative approach to teaching genetics. Rather than presenting material in historical order, Modern Genetic Analysis, Second Edition integrates molecular genetics with classical genetics. The integrated approach provides students with a concrete foundation in molecules, while simultaneously building an understanding of the more abstract elements of transmission genetics. Modern Genetic Analysis, Second Editionalso incorporates new pedagogy, improved chapter organization, enhanced art, and an appealing overall design.